According to Forrester, B2B eCommerce in the U.S. will hit $1.2 trillion by 2021, seeing a Compound Annual Growth Rate (CAGR) of 7.4% over the next four years. It is therefore essential that B2B businesses optimize the experience for their customers online. B2B sites have typically been known as less user friendly, but it is time for them to catch up with B2C and make it really easy for customers to do business. B2B eCommerce has unique complexities, which present unique challenges and therefore require a unique set of best practices. We will explore these challenges in our B2B blog series and offer advice and solutions to ensure that your B2B site delivers a superior experience. An omni-channel approach is increasingly hailed as the most effective way to do business. And most businesses would now claim to offer a multi-channel experience, where their customers can access their products or services in a variety of ways, such as on a desktop or mobile site, a mobile app and in a brick-and-mortar store. But not all multi-channel experiences are omni-channel; a company could have many channels providing different levels of service. True omni-channel is when the experience is consistent across channels however, or wherever a customer accesses your product or service. HubSpot have found examples of B2C companies with excellent omni-channel experiences. We particularly like the way that Disney synchronize the experience for their customers across its mobile, non-mobile sites and apps, down to details such as photo storage and food ordering. What does omni-channel mean in the B2B world? Your B2B customers are inevitably also B2C shoppers, so will be expecting the same capabilities. Although the B2B experience is not usually so personalized as for companies such as Disney, there are still lessons to be learned from B2C. In B2B, it is equally important to provide customers with a consistent experience across multiple channels. Information that is gathered on one channel should be available across all others. Whether a user is logged in, speaking on the phone, or directly to a sales representative, information such as prices, stock information, product details and order history should all be consistent. A call center representative should know what their customers usually order and should have all information in front of them. A customer should be able to log in to a B2B site and re-order items. This consistency is what drives a great customer experience. It is essential to recognize the increasing importance of mobile in B2B. BCG estimate that mobile usage per B2B worker will increase by as much as 50% (from two hours a day to three) by 2020. In a mobile environment, particularly with the proliferation of voice search, we have no idea how a user is going to search. There is the unknown factor of how a user may choose to speak their request. When using voice search, people are more verbose; they don’t think as carefully about the words they will use, and they throw in unexpected words. It is imperative, therefore, that the engine processing the request is incredibly intelligent, intuitive and flexible, mandating an AI/Natural Language search solution This way, no matter how a user asks, they can find what they asked for. The most cost-effective way for a business to deal with customers is without human intervention, providing a consistent experience across apps, mobile and desktop sites. Failing to provide this kind of consistency will really annoy your customers. Imagine a customer who tries to find a product on your site, fails, and then calls a customer service representative, who doesn’t have any information about the customer. You’ve probably experienced this as a user and understand how frustrating it is. 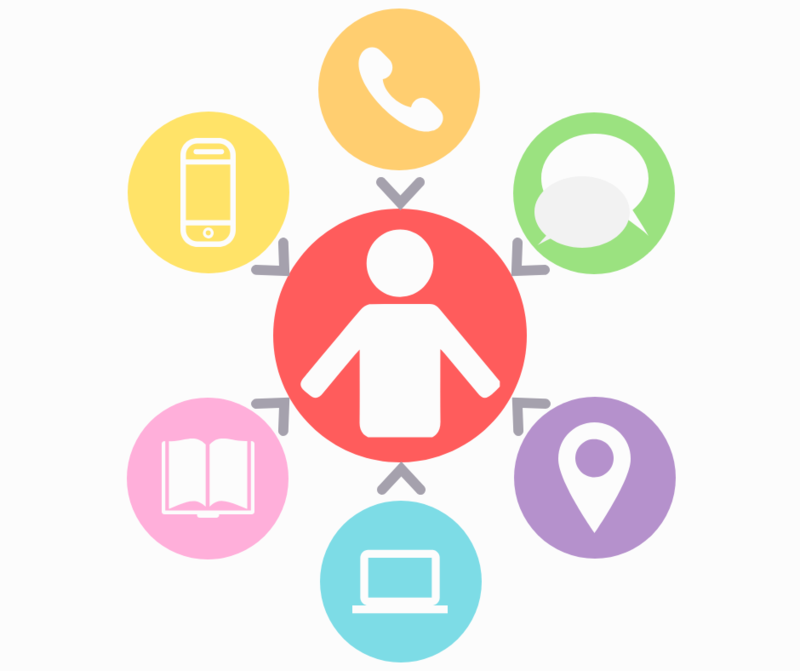 Being able to take information from a web session and see that in a call center is vital. The call center can then take minimum details and see what a customer has been doing on their screen, avoiding the need for the customer to repeat it all. When it comes to search, your system should be showing the same information across channels. If a customer speaks to a call center agent, they should see the same search results as the customer. Streamlining means taking information and orchestrating it across all touchpoints. An office and schools supplier contacted EasyAsk for help when they realized that they were losing business due to a lack of consistency across channels. Before implementing the EasyAsk search system, the information in their printed catalogs didn’t match the information on their website. Customer searches failed because the catalog numbers were different, and customers had to call the call center to place an order. Unfortunately, the call center had their own system for understanding catalog numbers which was different from the web system. These separate and inconsistent systems meant that the company was dealing with the same customers multiple times in order to process one order. EasyAsk enabled the company to streamline their business. After implementation, customers could do everything online, thanks to EasyAsk indexing printed catalogue numbers alongside website catalogue numbers. This once again highlights the importance of consistency across all B2B channels. Your web users should be able to see all of the information that they could gain from speaking to a sales representative in a call cente, such as order status, product information, what’s in or out of stock and delivery information. Authorized users may even be able to see financial information, such as outstanding balances and payments made. This omni-channel B2B experience must be brought together by a powerful search and merchandising system. Can your system handle this? 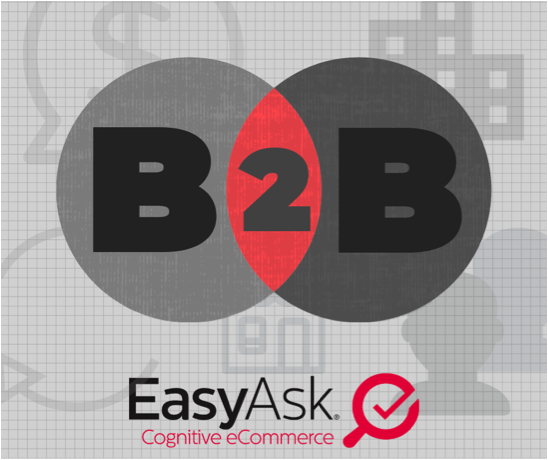 EasyAsk offers the only AI/Natural Language site search and merchandising tool designed exclusively for the rigors and challenges of B2B eCommerce. EasyAsk can be configured for any platform, either commercial or built in-house. EasyAsk has long served the B2B customer segment and over 400 B2B distributors have chosen us to power their B2B eCommerce sites, including: Aramark, Demco, Kaman Industries, Tacoma Screw, and Crown Packaging.